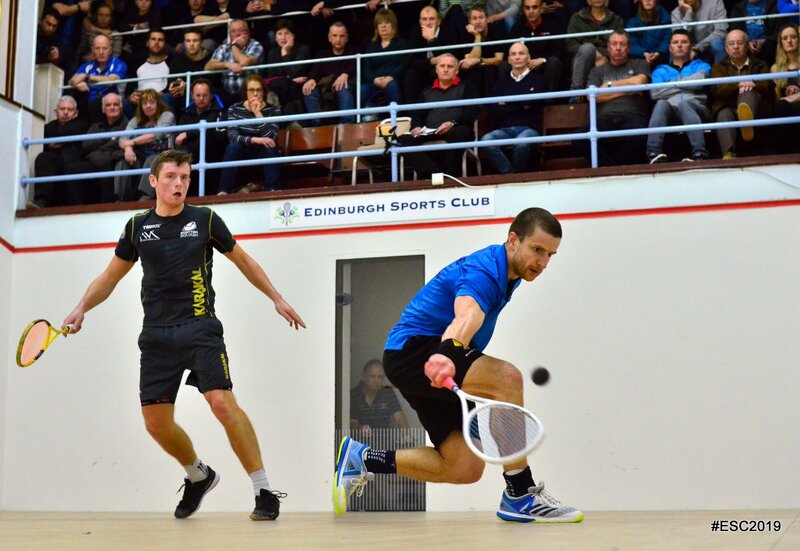 Alan Clyne overcame fellow Scot Greg Lobban to reach the semi-finals of the Edinburgh Sports Club Open. Between them have won the last three Edinburgh titles, with Lobban coming in as the defending champion. Clyne managed to control the play for the most part, taking both opening games 11-8 then dominating the fourth after a threatened Lobban comeback. Englishman James Willstrop and five-time champion Daryl Selby beat compatriots Patrick Rooney and George Parker in straight games, with Selby and Parker due to meet again next month at Canary Wharf. Second seed Willstrop set to meet Clyne for a place in the final while Selby meets new World #6 Paul Coll after the top-seeded Kiwi ended the run of unseeded home favourite Rory Stewart 11-7, 11-7, 11-7. Rachael Chadwick recorded her “best ever win” to oust 2015 champion and third seed Fiona Moverley in a nailbiting five-setter to reach the women’s semi-finals. Each game was desperately close, with Chadwick fighting back from deficits in the fourth to earn a couple of match balls, and in the fifth on her way to a first victory over a top 30 player. She’ll meet top seed Olivia Blatchford Clyne, who won a close four game tussle against fellow American Olivia Fiechter – their first match-up! In the bottom half of the draw, Egyptian second seed Hania El Hammamy beat Satomi Watanabe in straight games while South African fourth seed Alexandra Fuller came through in five games to deny Enora Villard. Edinburgh Sports Club Open, Edinburgh, Scotland.